On Friday, March 4th, 2016, Student Congress PR chair Uyiosa Elegon (Debakey High School) and Speaker Amy Fan (Bellaire High School) spoke on a panel at the Leadership Houston Education Day at UH Downtown Houston. 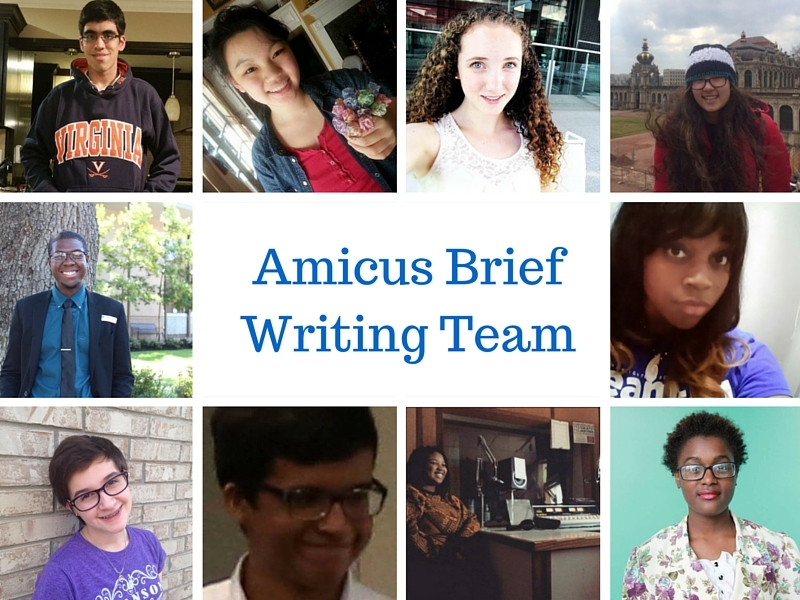 We Wrote an Amicus Brief! We also wrote a post about the process of writing the brief on our blog, DearHISD. Check it out here. Check out our radio show on 90.1FM KPFT here and don’t forget to tune in every other Thursday from 4:30-5:30 to hear what HISD students are saying! We have a blog, too! In less than a month, it has gotten over 7,500 views and a few of the articles are already improving HISD, namely SAT prep choices and school lunches. 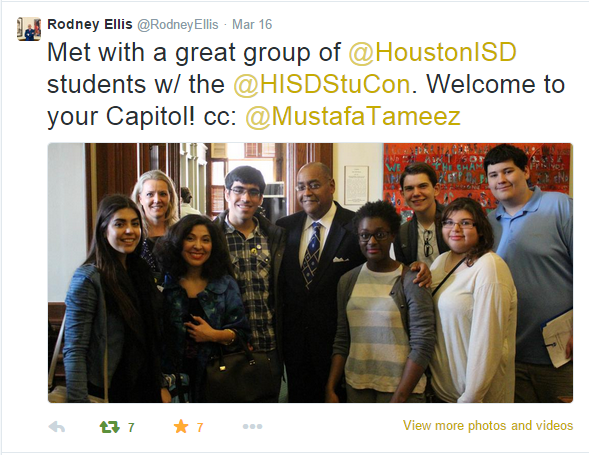 Check our our student run blog, Dear HISD, here. You can listen to the entire story, which aired on March 24th, here. LECJ junior Andrea Jamie and CVHS senior Zaakir Tameez were featured on Fox 26’s Hola Houston to talk about StuCon. See more Austin shenanigans on our Instragram! We were featured in an article in the Council of Great City Schools! Find us on page nine of this article. The respective article was published in the print version of the Houston Chronicle on January 4th. You can read the online version here. On November 14, the Student Congress was featured in Thesis Magazine. You can read the article here. On November 13, the Student Congress attended HISD’s school board meeting 125+ students from 25 schools. This is the largest showing of students to a board meeting in Houston’s history. On October 26, the Opening Session of the Student Congress was featured in The Alief Post. Speaker of the Congress Zaakir Tameez (Carnegie ’15) and Advocacy Chair Jamie Russel (Madison ’15) were interviewed. You can read the article online here. On October 10, the Opening Session of the Student Congress was featured by Ari Rotenburg, a student editor of The Buzz Magazines. He interviewed Governance Member Thomas Nyugen (Carnegie ’16). You can read the article online here. On July 12, founding members Zaakir Tameez and Amy Fan went on FOX 26 to spread the word about HISD Student Congress. Check out and subscribe to our YouTube Channel here. Yes! Please feel free to email me at speaker@hisdstudentcongress.org any time!